The view of a dust mite. Beautiful! already spying on your neighbors? haha! 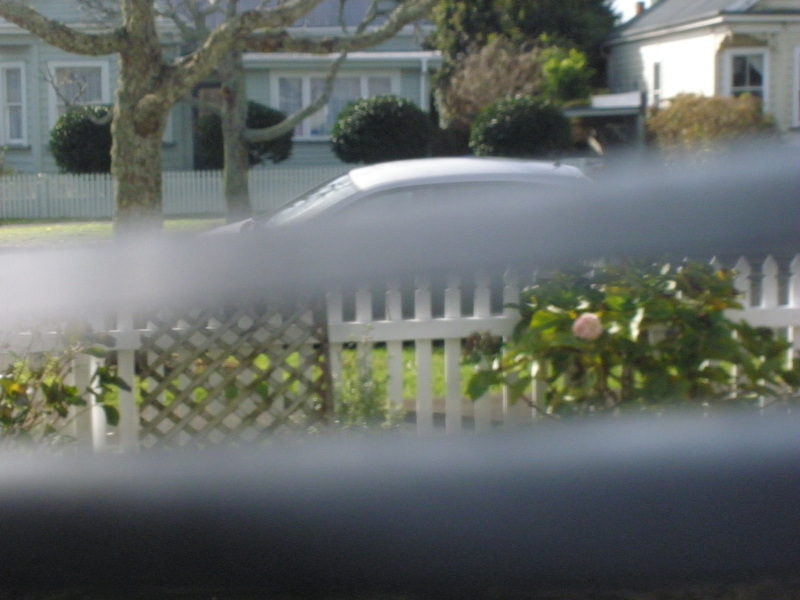 A white picket fence and what could pass for a rose bush…….the American dream is alive in New Zealand. Who knew? !